Power Up was a calf we kept back in 2016 to expose to our bred heifers. A direct son of WLB Powerball, Power Up 11C has great length in his spine, and an exceptional hip to back him up. His mother has been a great producer for us, and is a nice dark hided, red eyed daughter of Harvie Traveller. His first crops of calves have been consistently low birth weights, ideal for the bred heifers. 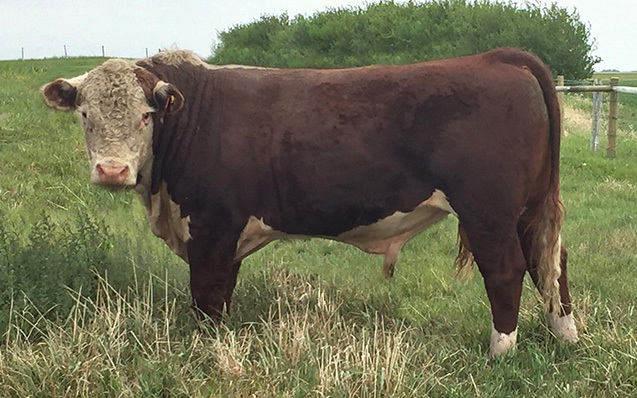 Our hopes is that his own performance and uniqueness will carry down into his calves, and that his females will be replacement prospects.